A construction site is like an elaborate machine with many parts working together toward a single goal. They are responsible for the buildings and bridges, schools and homes that tie our communities together. However, too often construction sites become dangerous places. Construction workers put their lives on the line every day and frequently find they suffer from life-changing injuries. At Edgar Snyder & Associates, we're committed to helping you navigate the Pennsylvania workers' compensation system. Don't hesitate to call 1-866-943-3427 or fill out our free online legal consultation form. Our legal professionals will evaluate your case and provide you with options. There's never an obligation to use our services. 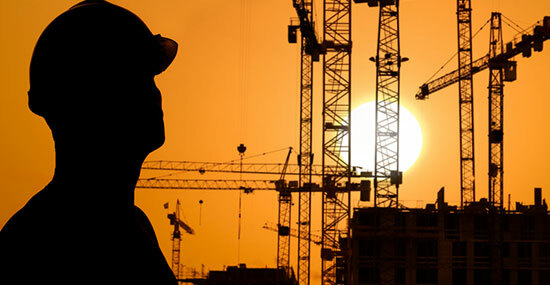 In 2012, the construction industry reported more than 179,000 injury cases. Construction workers are in the top five most-injured workers in America, and many never receive the compensation they deserve. That's why it's so important to have a legal professional who understands the workers' compensation system on your side. Unfortunately, construction accidents are all too common, but we can help with your Pennsylvania workers' compensation claim. If you've been injured, the last thing you need to deal with is paperwork and confusing legal processes. Let us handle it for you. Contact us today. You're probably wondering if you even need a lawyer. After the miles of red tape, the stacks of confusing legal forms, and the possibility of an employer trying to get you back to work too soon, you might find yourself struggling to understand it all. That's why we're here to help. You need to recover from your injuries. You can rest assured that we'll handle the rest. Your workers' compensation claim was denied. Your employer refuses to file an accident report. You received information that your payments will be reduced or suspended altogether. You are being forced to return to work too soon. You received a lump sum settlement offer and aren't sure what to do. Don't jump through hoops to get the compensation you deserve. Insurance companies have teams of lawyers on standby to protect their best interests. Shouldn't you protect yours? With the confusing nature of the workers' compensation system, it's always smart to consult an attorney. Don't lose out on what you deserve. Our legal professionals will work to understand your case and provide the best options for your compensation.